Learn how to track marketing efforts down to a cost per rental by media source so you can focus on tactics that provide the largest gain. 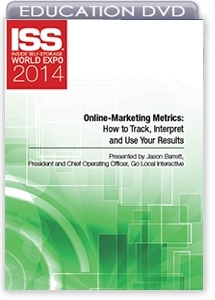 You'll discover how to identify the metrics that matter most. A self-storage owner can be drowning in marketing metrics but not know which are the most important. This session will focus on how to track marketing efforts down to a cost per rental by media source so facility operators can focus on tactics that provide the largest gains. It will help prevent you from inadequately tracking your efforts or focusing on numbers that won't move the needle for your business. You'll walk away knowing how to identify the metrics that matter most.